In this second of a series of posts, Intel’s Director for Government and Education shares the common pitfalls that undermine 1:1 implementations while outlining the key components to their success. How is 1:1 more than simply choosing the right device? My experience is that “It’s never about the device until it’s about the device”! What I mean by that is, we see a lot of extensive planning and preparation for 1:1 programs. But the excitement about “What device are we going to select?” sends everything and everyone into overdrive. Most decision makers and users will have their favorite device, platform, or preferred vendors. Managing the procurement process, the vendor community, and the internal stakeholders is incredibly important for a healthy and positive outcome. Some of the best visions for 1:1 have seen their demise in the absolute failure of the procurement process. Education customers must constantly return to what they are trying to achieve in the classroom and the type of learning experience that they want a student to have. They also need to constantly monitor and manage the procurement process. If you want a fair and open process, then there needs to be many diverse voices in the mix: that means teachers, parents, students as well as administration. In short, you want the device to have a supporting role in learning: not a starring role. What are some of the ways that 1:1 implementations can go wrong? We have such an expansive and deep set of knowledge on how to do things right, and I would love to say that we are through with this question after 20 years of experimenting, deploying, and learning how to execute large scale 1:1 programs. But the hard reality is that deploying a meaningful and impactful 1:1 implementation remains a complex endeavor, with every system’s or school’s needs and challenges being different. Early on in my career at Intel, I learned about the idea of copy exact. This is the idea that how you deploy manufacturing in one site could and should be replicable in another site irrespective of where you were on the globe. The concept is easier to discuss in the abstract then to actually implement as there are just so many variables: especially in terms of leadership and cultural as well as personnel skill sets. I think the same is true with 1:1. There is so much variability from one institution to another that it is incredibly challenging to take knowledge from how something was specifically done in one school or district and replicate that in the next school or the next 100 schools. I am fond of saying that we know what the important ingredients are and we have known what these ingredient are for a decade: ingredients such as leadership, sustained funding, extensive and sustainable professional development for teachers, pedagogical practices for a digital environment, parent and community engagement, and educating students for digital citizenship. How these ingredients are put together and integrated in a programmatic way from one place to another depends an awful lot on every school’s unique environment. How important is vision to implementation? Vision and leadership are critical for any enterprise. That said, vision without the ability to execute has no value. I have seen any number of great visions, technology plans, and pronouncements about how technology will transform things or disrupt the status quo and very few of these have realize their stated visions. I respect education leaders that paint a very pragmatic and methodical set of expectations. I am a firm believer in small wins, demonstrable proof points, and scaling up when you have a good handle on something. It also comes down to having the right resources for critical path program elements such as preparing teachers, executing procurement well, having the right IT skills, the right program management skills and processes, or being able to engage the community and parents in an informative and productive way. I think while laying out the vision is pretty straightforward, understanding that you have the skills and people to carry out that vision is even more important. 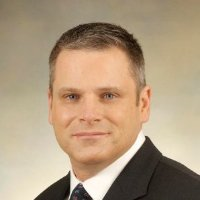 Rick Herrmann is Intel’s Director for Government and Education, spanning North America and Latin America. He has spent 26 years at Intel and has more than 15 years in the public sector in global and national roles. Rick was inducted into Intel's America's Sales and Marketing Organization Hall of Fame in 2016 for his years of leadership in serving customers, leading teams, and contributing to Intel's success. He has a deep knowledge of the IT industry, and has developed programs such as Intel’s worldwide government sales and marketing practice across 60 countries.